NOTE: I’m going to spend some time this summer on some non social media topics that I find interesting although hopefully tying them back to SM at some point in the post. If you have any topic ideas that you would like me to discuss comment below! One of the “side effects” of doing social media managing for the last four years is I see some horrible images of plastic pollution. I also see images of entangled whales, mass piles of litter and marine debris and lots of other super fun depressing stuff. The internet can be a sad and disheartening place and that’s something I have to deal with on a daily basis. So today I am focusing on getting some of that plastic pollution out of there by celebrating Plastic Free July and discussing some of the worst single use plastic offenders. 500 million straws a day in the US. I’ve heard the stat, you’ve heard the stat. I think I got so used to it that when I saw it again after a while I thought it was a typo and they added an extra zero. 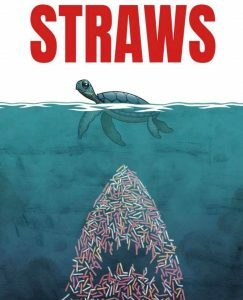 When we posted the image below with the stat that Canadians throw out 57 million straws a day we had comments saying how is that possible when the population of Canada is 36.3 million. But both numbers are correct. It is staggering how many straws are disposed of everyday, and how many people probably don’t even notice. Now that the tourists have invaded my neighbourhood for the summer, I see straw use everywhere and I sigh. I am sure that most of those people don’t even give their straw a second thought. The biggest hurdle with straws is at restaurants. I forgot all the time, especially with water and the wait staff forgets way more. I had a waitress in New York say “oh ya, no straw” and take it out of my drink and it put on her tray. That straw was still thrown away thus defeating the entire point – you gotta try and catch them before the straw is used at all otherwise it’s gone. With frozen blended drinks (#frozeallday) it can get more difficult as you need them to drink but you can still ask. There are some places that have switched to paper or compostable, so while that isn’t as great as not producing a straw at all, you can at least enjoy your blended beverage guilt free. I know that one of the biggest issues with a straw ban is people with disabilities who have to use straws. It’s a difficult problem and one that needs a solution sometimes on a case by case basis. In the meantime, if you can consume a beverage without a straw please do so. Switching to a reusable straw was super easy and way less effort to carry around than even a travel mug. Buy a few and probably a straw cleaner brush and keep them in your bag with all your other stuff. You’d be surprised how often you will use it even if you aren’t a Frappuccino person. And if you see one on the ground and can safely do so, dispose of it. Better in the trash can than up a turtle’s nose. Update: In between writing this and posting it, Starbucks announced they would stop using plastic straws by 2020! It’s huge news! They will provide paper straws to those who request them and their lids are now basically sippy cups. There were a lot of comments about how the lid was still plastic but I think those people missed the point. The cup is still plastic too! If you have issues with plastic, bring your own cup, otherwise be grateful that a company so large is taking such an amazing step to help reduce straws and plastic production in general. 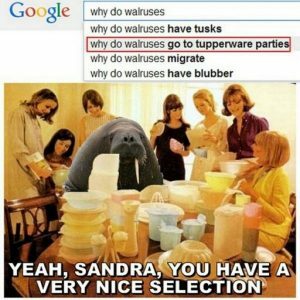 Coffee or cup lids are a hard one, that is for sure. If you have the means you can buy reusable ones online but I am not totally convinced they will work on everything – using a mug, water bottle or cold beverage cup is probably easier if you can. Or try to not use a lid and just count on your balance to keep you clean and dry (not recommended for hot beverages EVER). Utensils are much easier to replace since reusable utensils have been around forever and can fit in your bag right next to your straw! I am not suggesting that you take your fancy silverware around with you wherever you go but I won’t judge you for it. There are a lot of camping utensils and weird Sporks that you get in your Christmas stocking that work just as well. And I know those are also plastic but one you can reuse is better than disposing all the time. It is estimated that 40 billion individual plastic utensils are used every year in the US. FORTY BILLION. So, throwing a spork in your bag is a huge impact for such a small effort. Compostable utensils are getting quite popular and if you get a plastic fork with your meal, give it a wipe and throw it in your bag. Clean it when you can and then reuse it until it starts to fall apart. Hey, free fork! When I was unemployed and poor I used to go to brunch and bring a Tupperware to put half of my pancakes in before I put syrup on. I would heat them up and eat them the next day, it was a sweet deal! Everyone thought I was kooky, but really I was being thrifty and earth friendly. We all know that Tupperware has been around forever and it has many many uses so why not make one take out containers? I don’t know why this exists but it makes me laugh Every. Single. Time. There are a lot of great compostable and recyclable take out containers out there but if you are in a restaurant and want food wrapped up give them a Tupperware to put it in. Most places won’t care, you probably won’t get a weird look especially in Vancouver, and if you do who cares? It’s a restaurant! The worst thing that would happen is if you’re a regular they will call you “Weird Girl with her own Containers”. You’ll be saving them money on take out containers and helping get rid of more single use waste. Again, all this stuff I’m asking you to bring with you is enough to fill a small backpack (or a trendy fun cloth bag-don’t forget your reusable bags!!!). It might not always be feasible but before you leave the house think about what your plans are and if you can bring something to make your plastic use a bit less that day. Every bit helps, and the turtles will thank you.